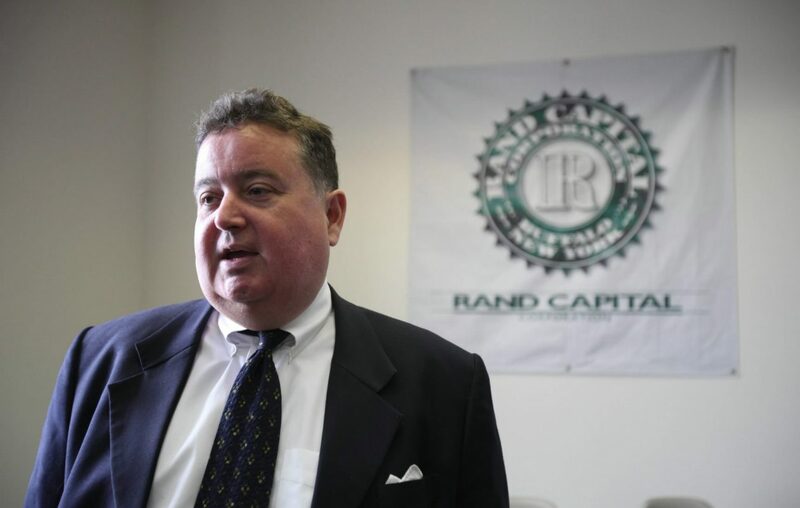 The CEO of Rand Capital Corp. said the Buffalo venture capital firm strongly disagrees with the criticism by its largest shareholder of its proposed deal to sell a majority stake to Kim and Terry Pegula. "While we very much appreciate the input of shareholders, we strongly disagree with his conclusions," Rand CEO Pete Grum said in response to critical comments from Bruce Howard, the CEO of User-Friendly Phone Book, which owns a 23 percent stake in Rand. "We believe the transaction is in the best interest of all shareholders and enables a future that we expect will be demonstrably better than if we were to maintain the status quo,” Grum said. The Pegulas, who own Buffalo Bills and Sabres, have agreed to buy a 57 percent stake in Rand through their East Asset Management business for $25 million, or $3 a share – a price that Howard has described as "wholly inadequate" with "terms that we believe are extremely bad and unfair for shareholders." Howard leveled his criticism in a regulatory filing late last month, but Rand did not respond until late Wednesday. "Just as the company’s proxy does not provide adequate information regarding the proposed transaction, the board’s answer does not, presumably because they cannot credibly, address substantively any of the points we raised in our detailed and well substantiated letter," User-Friendly Phone Book said in a statement Thursday. "Instead, we and our fellow stockholders are asked to rely on vague and conclusory statements from the board about the ill-conceived proposed transaction. The Company’s stockholders deserve more and better from our elected representatives. We call upon the board for a substantive response to our letter and the very important issues we raised," the statement said. User-Friendly Phone Book, a Texas-based business that sells digital media products to small businesses and publishes some print telephone directories, invested in Rand last June. Rand's shares have long traded at a steep discount to the value of the company's assets, which prompted the firm to explore ways to improve returns for shareholders.